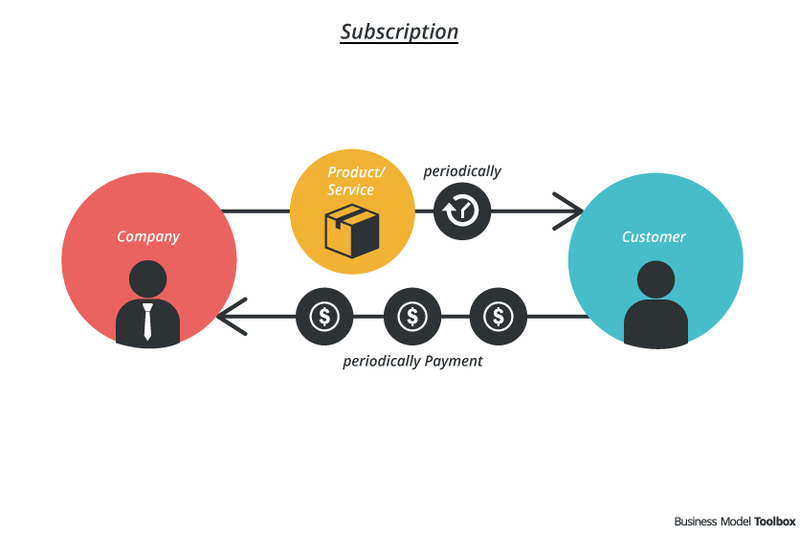 Instead of selling the product as a single item, the subscription model aims at selling a product or service over a period of time. 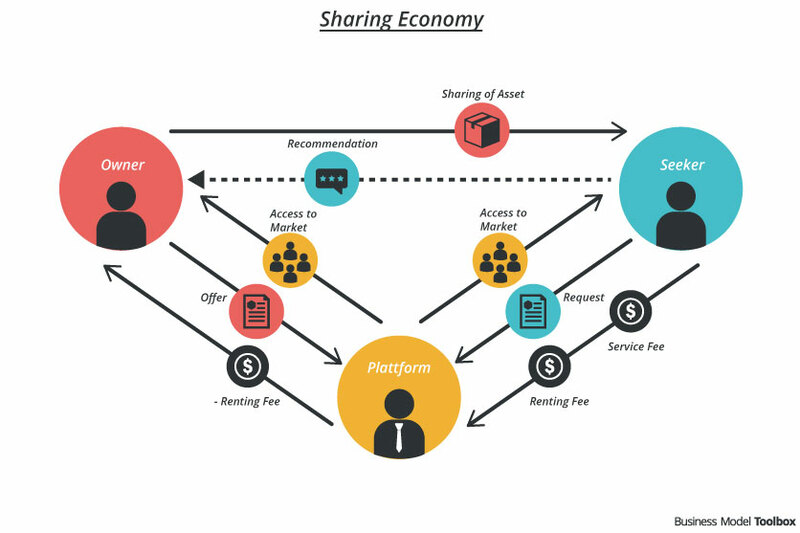 The subscription model has been introduced by newspapers and magazines and is now used by many different products and services, which the customer can access by paying a periodic fee . 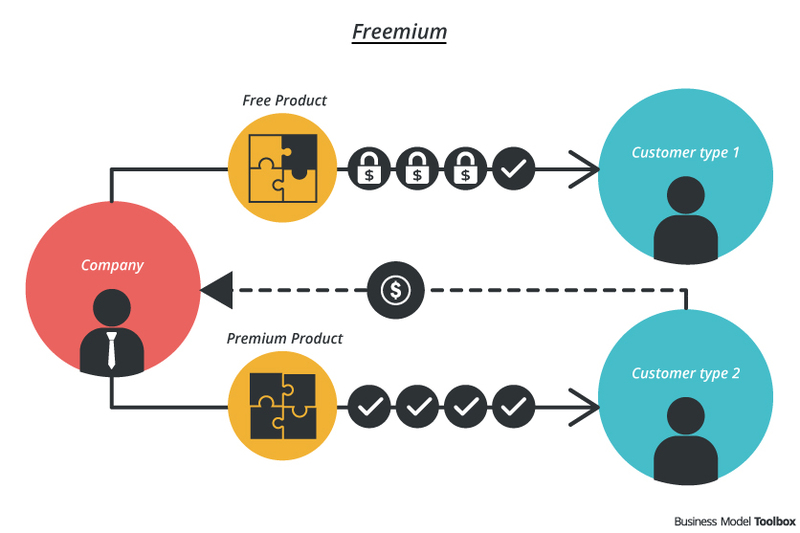 Digital business models often provide a basic service for free and offer premium features together with a subscription model (LINK Freemium + Subscription pattern). Don’t just think about the service or product but also about the process during the subscription phase. Learn about how to stay attractive over time e.g. by using customer data. Switching costs and therefore customer retention and lock-in effects increase when users enter or collect information, build up a network or invest time in the service over time. Receive every issue over a period of time. Monthly payment to get access to premium channels (Pay TV) or the possibility to stream video whenever required. Offers a subscription for black socks and underwear. A service that sends its subscribers a box of four to five samples of make-up or other beauty products. The software provider changed the business model from selling the software to offering a subscription. Customer retention and reduction of seasonal fluctuation: Depending on the design of the subscription model, customers can be bound to the service over a defined period of time or cannot reject to buy one issue / delivery. Attracting customers: A reasonable monthly rate seems affordable and more attractive than a one-time high payment. Reliable service / product delivery: It is essential to maintain or even improve the quality of the service, in order to build on the trust that customers put in the product over a longer period of time. Low switching costs: Affordable and attractive subscription rates make it interesting and affordable to try and compare different offers. When using customer data to optimize the service it is important to be transparent and to respect customer privacy. Subscriptions of tangible products can lead to increased waste because customers may not need every periodical delivery. Take in mind to how to recycle or reuse your product. Another aspect is transparency and honesty to the customer about the conditions involved in a subscription contract. Many companies lure customers with cheap monthly rates and hide the conditions regarding not canceling in time.